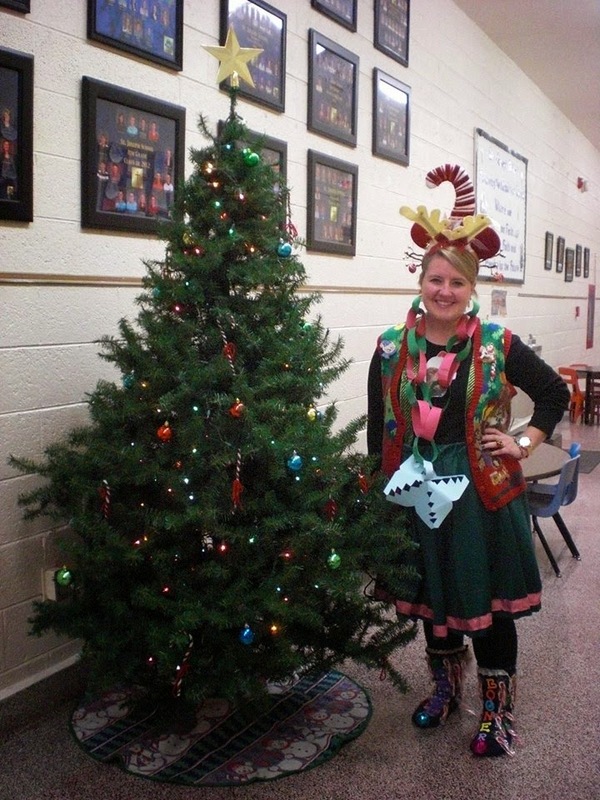 1 – L had her school Christmas concert earlier this week. The seventh graders always learn to sign a couple of songs in ASL instead of singing them. "Hey Moon" by Sidewalk Prophets was one of the songs they signed and it was beautiful. I thought I'd share it here because I really enjoyed it. This is my super cropped photo so I don't show anyone else's kid's face. But I still wanted to share it because L is holding her candy cane the right way. She had told me that morning that she was nervous because during the "J is for Jesus" part of their "Candy Cane Song" she held her candy cane so it made a J for her, not the people watching. Right before she went on stage I even prayed to her Guardian Angel and asked that he make sure she did it the right way. After the concert we both celebrated she had gotten it right. She was so proud and so was I. 2 – They other day at my mom group someone mentioned how expensive bras can be. I piped up in agreement and mentioned that my bra's underwire had just started poking out and was hurting me. "I wonder if I can duct tape it?" My friend Jen - without being the teeniest bit condescending even though she could have because, seriously? Duct tape, Bonnie? - said, "Why don't you just stitch it up?" Since the rest of the bra is in really great shape I saved myself $60 or a a trashy duct taped bra and stitched those suckers back into place like a real domesticated lady, which I am actually, obviously not. 3 – The Feast Days. On Monday I spent a lot of time gazing at this image. We also ate rice krispie treats for dessert, after the kids did fairly well at the 6pm Mass. Fr. Julius said they were good, though, and so that was good enough for me. I'm not sure who started the tradition of white food on the Solemnity of the Immaculate Conception, but it sounded like a great reason to have rice krispie treats. On Tuesday the Church celebrated St. Juan Diego but in our home we celebrated Venerable Fulton J. Sheen who died on December 9th 35 years ago. L and Ben took chocolate chip cookies to school to celebrate; JF took rice krispie treats. At our moms group we ate tortilla chips and Old EL PASO salsa since Sheen was born in El Paso, Illinois. For dinner we had a hearty Midwestern meal of venison meatloaf, smashed sweet potatoes, biscuits, green beans. Tonight we were hoping to have some friends over for a mini fiesta in honor of Our Lady of Guadalupe but then poor Resa got sick. She doesn't look very sick, does she? So we'll be having beans and rice for dinner and drink Mexican hot chocolate all by ourselves. Then we'll pray a rosary in Spanish. I’m just dreaming, we won't pray a rosary, let alone in Spanish. Saturday we’ll possibly have Santa Lucia rolls for breakfast and then head out for a tree farm. We’ll put up our tree and then possibly drive around, looking at Christmas lights. 4 – Usually we put up our tree on Guadete Sunday but this year I’ll be speaking in Park Forest, Illinois that day. 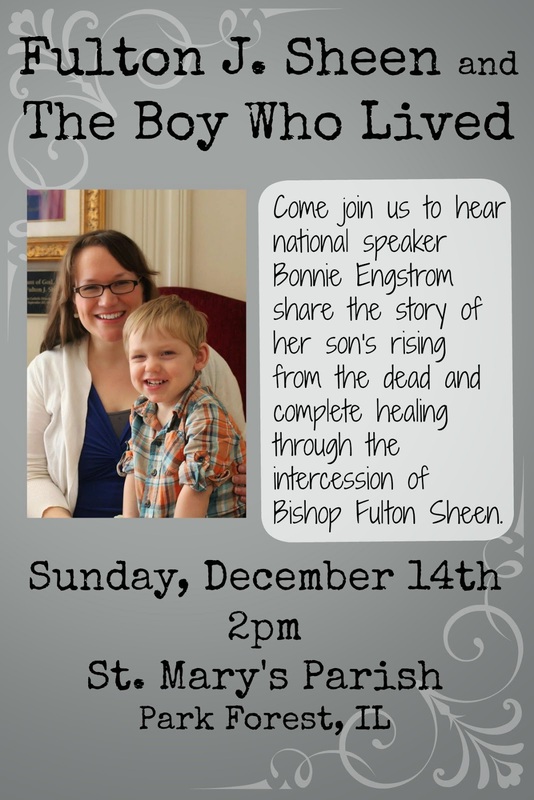 If any of you guys live in the south suburbs of Chicago it would be great if you could join me at St. Mary’s Parish in Park Forest on Sunday at 2pm. I think they’re having light refreshments afterwards and Travis and our friend Mia will be with me so there's three more good reasons to come! I'm pretty excited because we get to have lunch with our favorite bread makers ever – the Marconis! 5 - So my friend Katie is amazing. 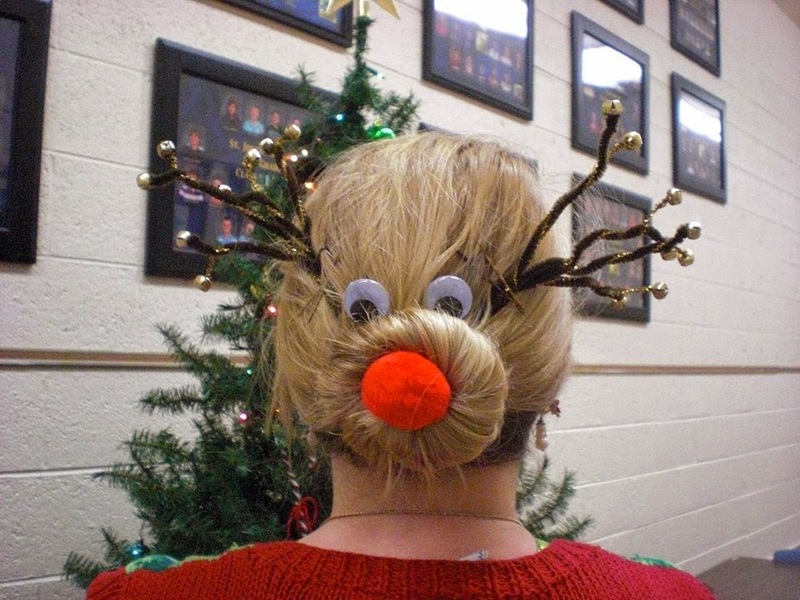 Her cousin sent her a picture of a silly Christmas hairdo and dared Katie to wear it to work one day. Katie, who works at a Catholic school, said No. Her cousin came back and said she'd make a donation to charity if Katie did it. As Sherlock would say, "The game is on!" Katie opened it up and said that anyone who made a donation to her parish's St. Vincent de Paul food pantry (money or canned goods) could make a request. I asked for gaudy earrings. And here's the whole look. I am so impressed with Katie and her humility, generosity, and good spirit. I'm pretty sure that I'm too vain to look this ridiculous. 6 - Last night we were driving and the kids wanted to sing Rudolph the Red Nosed Reindeer. So I started singing, "Rudolph the red nosed reindeer had a very shiny nose..." and then L cut me off. L: We need to start at the beginning. Me: This is the beginning. L: Not in my book. Travis and I laughed, even harder because she meant what she said. She has a book with Christmas carol lyrics and that begins the song with the list of reindeer names. 7 - I know I already posted pictures of my mantel but I wasn't very happy with it so it got a little make over. The nativity that sat there was moved to the bookshelf in the living room and the one that was on the bookshelf in the living room was moved to our home altar in the dining room. Then I tucked some garland behind the stocking holders and ran some pretty star lights through it. 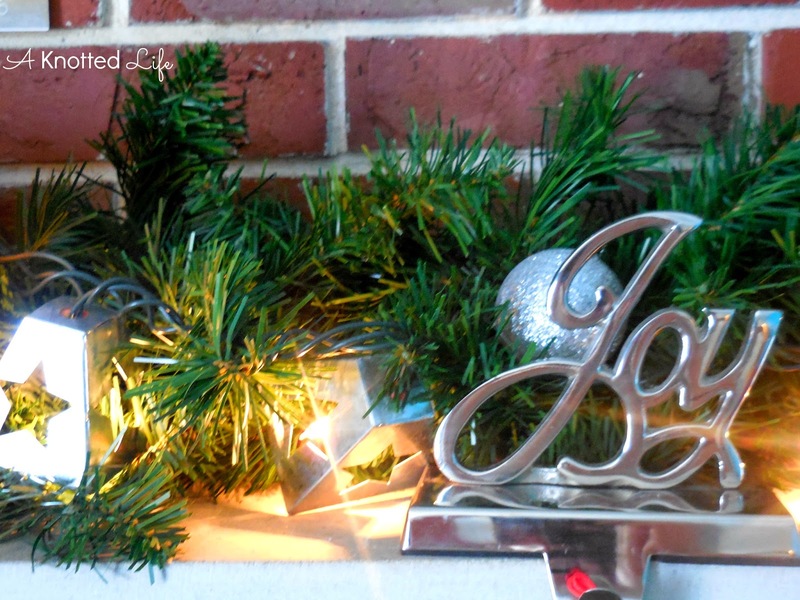 I added some silver ornaments that were used to decorate for my December wedding 8 years ago. Then in the void above I started taping up Christmas cards. So far I've got three from family members, two from blogger friends, one from a woman I've been friends with since kindergarten, one from a friend at my old parish, and two from friends at my new parish. I hope it grows! I love it. By next year I hope to have a large white frame, probably made from scrap lumber, that has twine or lights running the length of it in 3 rows, which I'll hang the cards from. Something like this. I spy a familiar card! Love your mantel, Bonnie. And how awesome that it's decorated with things from your wedding. Love, love that. Oooo ... brilliant QTs! They made me laugh (the duct tape and the Christmassy Cousin), ponder (Mary and Eve - I am so glad there's a Mary because I sure feel like an Eve! ), smile joyfully (yay for the J! 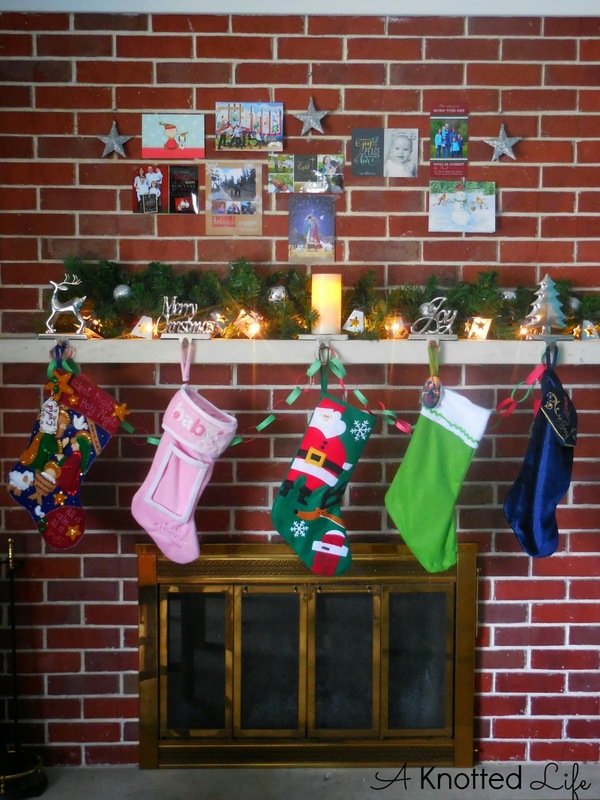 ), and gear up for our weekend of decorating (that mantle is inspired! I love that you are mixing memories by using wedding decor and incorporating this year's love with the Christmas cards). Brilliant, I say. Your mantle is so sweet. And I am SWOONING over that print of Mary and Eve. Your mantle is lovely, but I always warn people about those stocking holders. When I was in high school I was babysitting and one of the kids pulled on one of the stockings which caused the holder to slide off the mantle and unfortunately it landed on his head. He had to get stitches. Just a thought...:) And I love the print of Mary and Eve, too!!! Right now I have my window duct taped, because the motor broke. Duct tape is for everything! 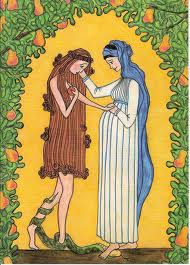 That print of Mary and Eve is beautiful and so powerful. I sat and looked at it for quite a while too. If you know the brand and size of your favorite bra, check Amazon. I paid $100+ to buy a good nursing bra at a local bra shop. When the underwire was beyond repair and I could not afford another $100 bra, I checked Amazon. They carried it and for only $35!!! Love your changes to your mantel. It's perfect! Such a fun idea!